This is the first of three art pieces I created related to the theme of Takoyaki. 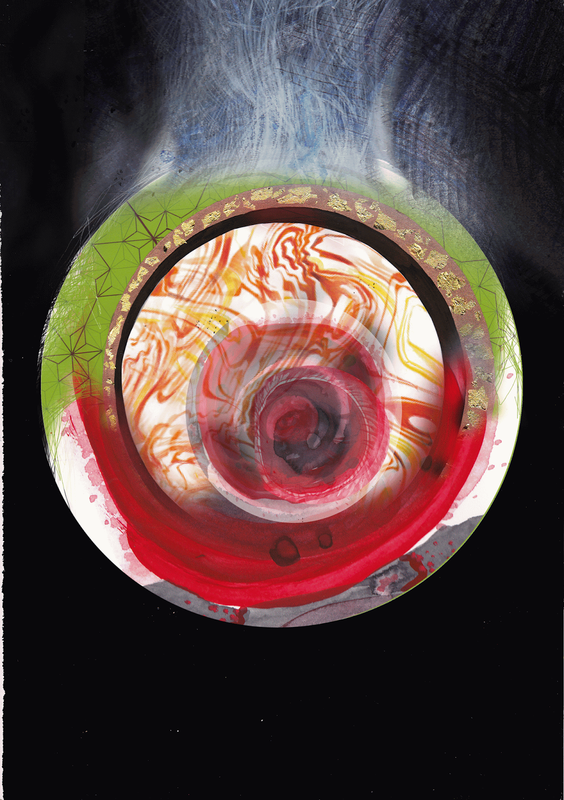 In my art, I mostly deal with subjects related to Japanese tradition and culture. In this picture you can see the shape of the Takoyaki which I added some traditional Japanese patterns and colours to. During the summer and autumn months, there are many festivals are held throughout Japan. In each region these festivals are centered around local Shinto shrines where Kami or gods are worshiped. In and around the Shrine grounds are a lot of stalls selling various popular cooked festival foods including Takoyaki, Yakisoba and Okonomiyaki to name a few. Festival goes love to eat these foods while wondering around and enjoying the various events going on. 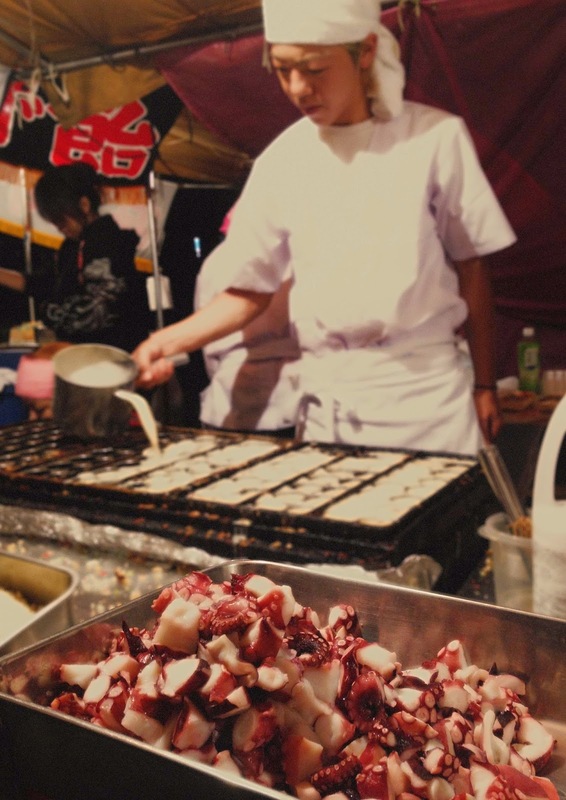 The photo above is of a takoyaki stand and was taken at the Yagumo Hikawa Shrine festival which was held last year on September 20th-21th 2014 in Tokyo.